Seeing as Mother's Day is right around the corner (Sunday, May 8 to be exact), many sons and daughters are in search of the perfect gift to celebrate their mom on her special day. Really, you should celebrate your mom every day of the week, but that doesn't make Mother's Day any less special. 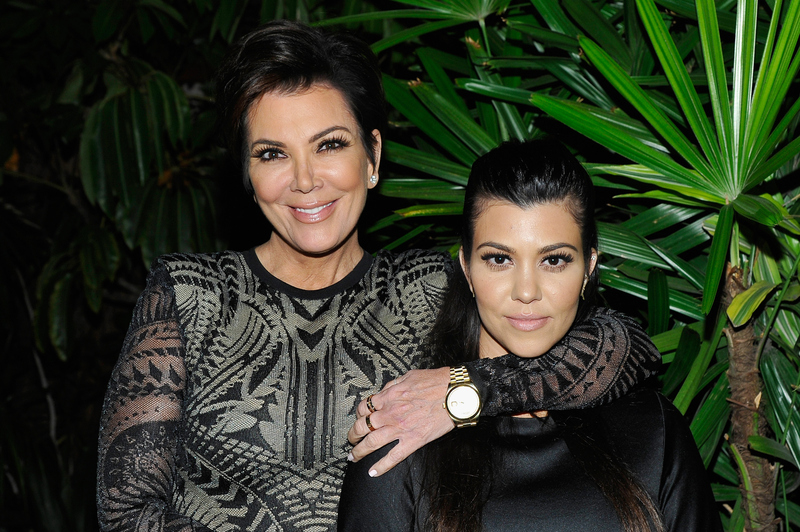 While there's still a couple weeks to go, it's clear that Kris Jenner's Mother's Day is going to totally rock. If you're not a follower of her daughters' websites, then let me fill you in. Kourtney, Khloé, and Kim Kardashian and Kendall and Kylie Jenner have all compiled a list of the perfect Mother's Day gifts. Think of it as something similar to Gwyneth Paltrow's holiday gift guides, which are always way over the top. Each reality star has listed what they think not only their own mother might love, but what other mothers will enjoy, too. As you might've guessed, yes, the majority of each list is extremely expensive items. As crazy as they are all, it appears Kourtney's is the most insane. Basically, Goop would be proud. Let's just say that there are definitely some super pricey items that really shouldn't surprise me, but still make me shake my head and say, "Really?! Who would even spend that much on something like that?" Apparently, Kourtney's idea of what a Mother's Day gift should be varies from what I have in mind. With that, let's check out a few of her most ridiculous Mother's Day gift ideas here. As Kourtney writes on her website, she "got this for [her] mom." That's right, a Chanel surfboard worth $11,250. I mean, really? Who wears a watch anymore? I guess I just rely on my iPhone to tell me the time. Anyways, if your mom still wears a watch, then Kourtney feels this $4,100 pre-owned Rolex watch is perfect. Hey, at least it's marked down in price. It was originally listed at $5,125. OK, so, these Tiffany Playing Cards only cost $35. That's not that much money, right? However, for a deck of cards, yeah, I would never drop $35. That's just way over my budget. Don't get me wrong, I love lounging in bed, but spending $868 on a Vic Bed Tray from il Prato? Nope, not happening. I have a feeling my mom would agree. Obviously, name-brand jewelry from prestigious designers is going to be a bit more expensive. However, I just can't imagine ever charging $4,800 for a Cartier Love Bracelet. Sorry, mom, but I still have to pay rent every month. By no means is this Verve Champagne Glass from Crate & Barrel out of my budget, which is exactly why I had to include it. Amongst all of the other crazy, expensive items, Kourtney throws in a champagne glass that's only $13? I guess bubbly tastes really good out of these particular glasses, which my mom definitely would enjoy. So, what are you going to get for your mom? Obviously, I'm leaning towards the Chanel surfboard.